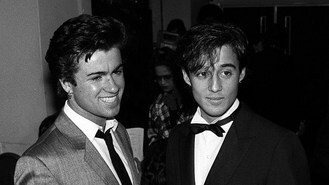 The 1984 Wham! track beat a host of other festive favourites to be the nation's most played Christmas song this year, reported NME.com. Michael Buble's It's Beginning To Look A Lot Like Christmas was in second place. The Canadian crooner dominated the list, with seven of his songs in the Top 10 on the music streaming service's list of top Christmas Day tunes. They included Holly Jolly Christmas and Santa Claus Is Coming To Town. Meanwhile, Mariah Carey's All I Want For Christmas Is You was third and The Pogues and Kirsty MacColl's Fairytale Of New York was fifth.